Anthony Davis says a New Orleans Pelicans are "tired of losing" but need to find a new offensive scheme that suits their mixture of incumbent starters and recent acquisitions. New Orleans Pelicans' Anthony Davis plays against the Denver Nuggets during their NBA game in Denver, Colorado, in this April 7, 2017, photo. The star forward says the Pelicans are "tired of losing". 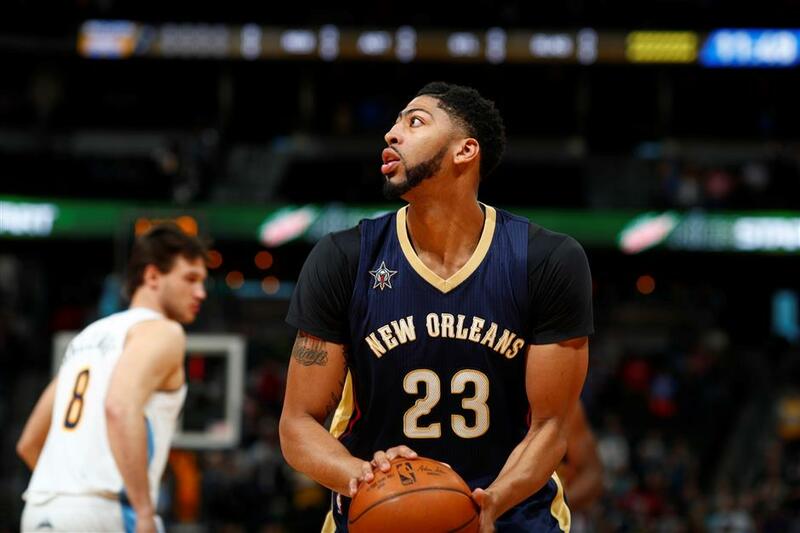 Anthony Davis says the New Orleans Pelicans are "tired of losing" and have the roster to do something about it. That is, if they can find a new offensive scheme that suits their mixture of incumbent starters and recent acquisitions. "We can't wait for the season to come and try to make some noise here in the loaded West," Davis said on Tuesday in New Orleans, Louisiana, while promoting a youth camp he'll host in early August. "We're doing everything, whether it's signing players, trading players ... whatever it is to just try to make sure that we try to be a winning organization," he added. "We have the tools right now to be successful. ... Right now, I think we look good on paper. So we've just got to figure it out." The Pelicans will likely need the right scheme, good chemistry and good health to contend in the Western Conference, which features defending champion Golden State as well as Houston, Oklahoma City and San Antonio. Davis is optimistic that could happen. He's been working out this offseason with fellow All-Star big man DeMarcus Cousins, and he fully endorsed the recent signing of veteran point guard Rajon Rondo. Davis said Rondo's savvy play-making and defensive acumen will strengthen the New Orleans on both ends while also allowing Jrue Holiday to become more of a scoring threat from the shooting guard spot. When the Pelicans re-signed Holiday to a five-year, US$126 million contract to open free agency, general manager Dell Demps and coach Alvin Gentry mentioned the possibility of playing Holiday off the ball more, and the acquisition of Rondo should allow that, Davis said. "When I first heard about Rondo, I thought it was a good situation for us," Davis said. "He knows when to get guys involved, when to make that pass." Davis said Rondo and Holiday also will be a formidable defensive tandem along the perimeter, meaning the Pelicans' All-Star big men should have more chances to protect the rim and rebound. He said Rondo's long arms and big hands help him disrupt drives and passes as well as rebound. "They're going to give a lot of guards, this year, problems," Davis said. "It's always good when you can add a guy who knows how to play defense." By the time Davis hosts his clinic for kids on August 7-8 at the University of New Orleans, he'll have spent a considerable portion of the offseason working out with Cousins, who was acquired in a trade after last season's All-Star game. As the fellow All-Stars prepare to enter their first full season together, Davis said Cousins is trying to adapt and further develop his game. Coaches and teammates have complemented Cousins this summer on how he looks after committing to a conditioning program than has helped him shed some weight and improve his endurance. "We know we're going to be the big focal points on every team's scouting report, so we just wanted to get together and work at it together and figure out the things we like to do," Davis said. "He's trying to adapt. He wants to win for sure and we didn't have that much time last year. ... He's trying to do whatever the team asks him to do." Davis said he's supposed to meet with new assistant coach Chris Finch soon to start discussing the offensive scheme he envisions when New Orleans' top two front-court stars are playing together. Finch could be a good fit because of his recent experience on Denver's staff helping versatile young big men Jusuf Nurkic and Nikola Jokic play effectively as teammates. Davis said the Pelicans want to emulate "how they ran their offensive package with those two bigs who are very skilled".